Chris Kunitz formula for his team's Stanley Cup success is simple, but certainly effective: everyone contributes, everyone wins. With his name etched twice on hockey's most prized team trophy, Kunitz, in his second season with the Pittsburgh Penguins, knows a thing or two about what it takes to succeed come playoff time. Kunitz is looking for his second consecutive Cup ring in 2010 as a member of the Pittsburgh Penguins, a team that endured an inconsistent regular season and a less than ideal start to the playoffs. That was never more evident than when Pittsburgh launched defence of the Cup with a Game One home loss to the Ottawa Senators in their Eastern Conference quarter-final series. What followed, however, was a hard-fought, six-game series resulting in a Pens' ticket to the second round. That calm approach has paid big dividends for a Penguins club eager to retain their stature as Cup champions. And while the play of megastars Sidney Crosby and Evgeni Malkin has been key so far in Pittsburgh's 2009-10 post-season, Kunitz is quick to acknowledge the efforts of all. “There is no doubting the impact of what players like Sidney and Evgeni have on this team,” said Kunitz, a finalist for the NCAA's Hobey Baker Award in 2003 (given to U.S. collegiate hockey's top player), the same year his Ferris State made it to the Division I Regional Finals. “They can change the face of a game in a split second. Kunitz can point to any of his teammates as being major contributors to the club's success, both last season and this campaign. Kunitz certainly fits the bill. His unselfish style has made him a wanted man throughout his NHL career. Signed as an undrafted free agent by the Anaheim Mighty Ducks on April 1, 2003, Kunitz split his professional rookie season between Anaheim and their American Hockey League (AHL) affiliate, the Cincinnati Mighty Ducks. After spending the 2004–05 NHL lockout with Cincinnati, he was picked up on waivers by the Atlanta Thrashers in 2005–06. Two weeks later, however, he was re-claimed off waivers by the Ducks and went on to play 67 games with them, scoring 19 goals and adding 22 assists for 41 points, surpassing Paul Kariya's club record 39-point rookie season in 1994–95. 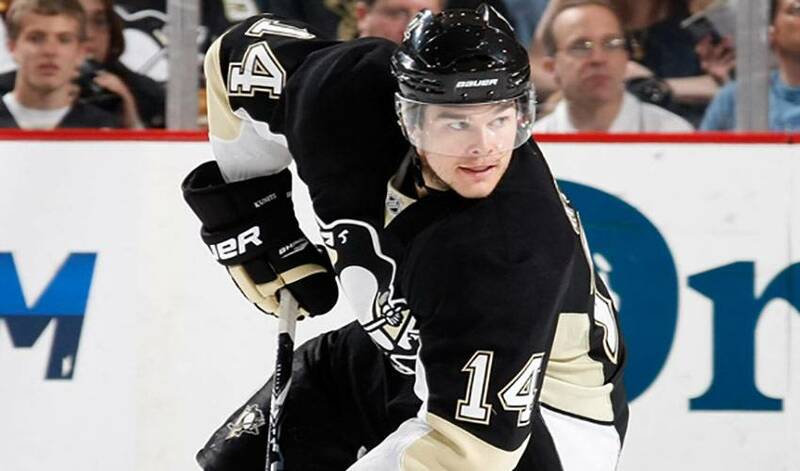 In 2006–07, Kunitz netted 25 goals and recorded 60 points. He helped Anaheim defeat the Minnesota Wild, Vancouver Canucks, and Detroit Red Wings, before besting the Ottawa Senators to net his and the franchise's first Stanley Cup championship. The next season, Kunitz was named one of the team's alternate captains, his first time with the Ducks and his professional career. In 2008–09, he was traded to Pittsburgh along with prospect Eric Tangradi for defenceman Ryan Whitney. In the 2009 playoffs, he recorded one goal and 13 assists as Pittsburgh was crowned Stanley Cup champions after defeating the Detroit Red Wings in the final. Kunitz is once again playing a prominent role in the playoffs, averaging over a point per game so far. But it's not just putting up points that motivates Kunitz. And when he's not working overtime to help put Pittsburgh back in the finals, Kunitz has found the ideal way to unwind and forget about the pressures of the post-season. Still, thoughts of the playoffs are never far away.